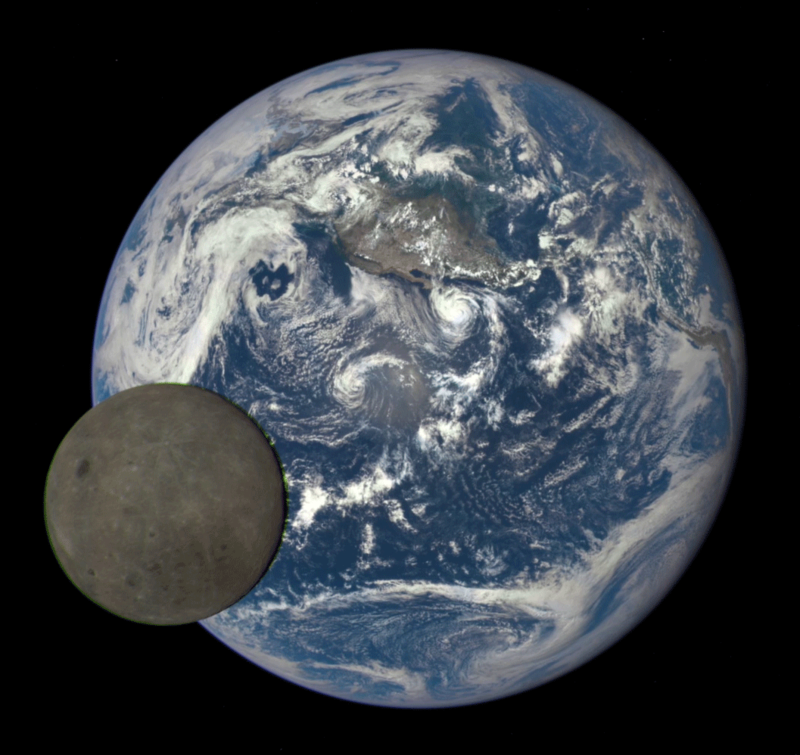 A beautiful and unique view of the Moon passing in front of the Earth as seen from the Deep Space Climate Observatory (DSCOVR) satellite. The far side of the Moon, never seen from Earth, is visible here as the Moon passes between the satellite and Earth. The video animation is here. The images were taken between 3:50 p.m. and 8:45 p.m. EDT on July 16, 2015 from 1,609,000 kilometres (1,000,000 miles) away.